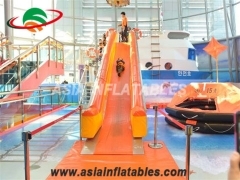 The WATER PARK is a series of inflatable slides, runways, jumping pillows and bouncers all connected together and floating in a large, clean and refreshing lake. 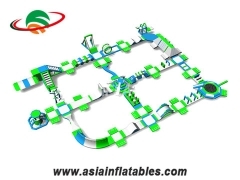 It features swings, ramps, jumps, ladders, a trampoline, a slide, wiggle bridges, and so much more. 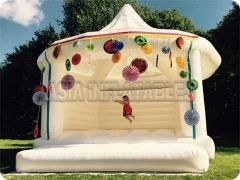 There is a great variety of different shapes, sizes and functions, making the activity exciting and entertaining for everyone. Bring your energy! Climb, slide, swing and jump! With so many ways to play, the Jungle Gym is the best new interactive multi-player combination unit for maximum fun. 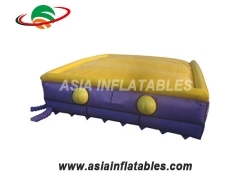 It features four exciting challenges and three jump zones cushioned by our patented Zero-Shock technology. 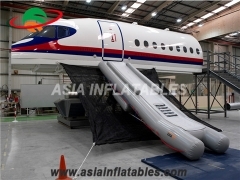 An inflatable slide, for use in emergency evacuation of aircraft, door and window, including upper and lower inflation tube assemblies which are suitably bound together. 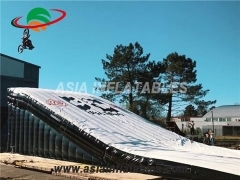 A taut, relatively frictionless material is positioned between the upper and lower assemblies to provide a slide surface which is both protected by and depressed below the upper tube assembly. 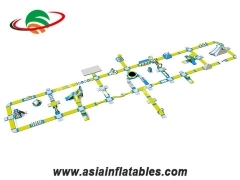 Suitable airflow paths are provided in the assemblies for producing predetermined sequential inflation of each assembly to ensure that, when the slide is inflated, it attains a position in which it may be properly used. 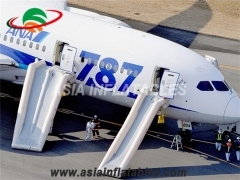 The slide is held to the aircraft by a releasable stitch-locking means which allows the slide to serve as a raft when it is unlocked. Truly no-limits exploring. 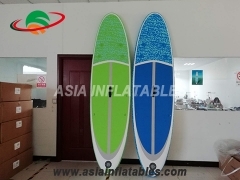 The liberating thing about an inflatable stand-up paddle board is how portable it is – it can go practically everywhere with you. You don’t need a van or a roof rack to take it on a road trip, or even a large space to store it at home. All of our boards can be rolled up to fit into their own compact bag that can be carried on your back, or rolled behind you thanks to specially integrated wheels. 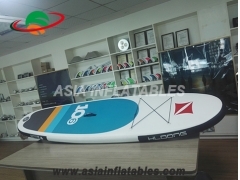 You can literally walk to the water’s edge, unpack the board and inflate it in roughly five minutes using our pump. Thanks to its special design, this pump halves the time it takes to fill boards using a conventional pump while using less energy – it also fits into the backpack with the board so it’s easy as pie to transport and complete the perfect adventure pack. 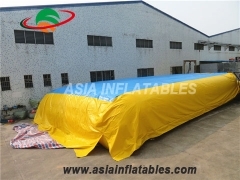 Towable Disco Boat, Inflatable Disco Boat, 16 FT Disco Boat. 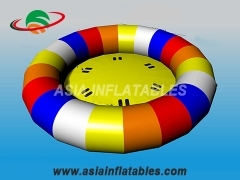 Disco Boat can be used in the lake, water parks, pools or seaside. 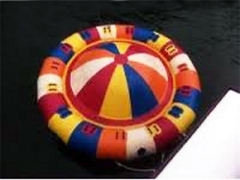 We can print your logo on the disco boat at a resonable cost. OEM & ODM is always Welcome! 16 Foot Disco Boat, Disco boat, water disco boat. 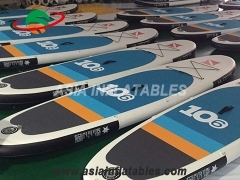 This Disco Boat is one of our newest water sports and maybe the funnest water sports. 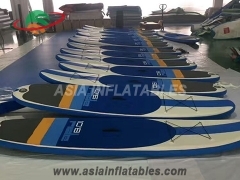 We may customize the design, the size, the colour and the logo as you need. 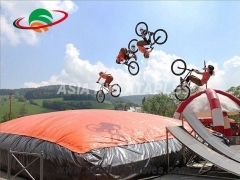 Inflatable jumping air bag has become an all-season attraction that can be used to create many thrilling, unforgettable and unique activities for extreme sports, adventure experiences and events. 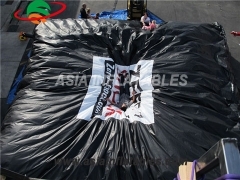 Air holes on 2 sides of the air bag to keep people landing steadily and safely that keep from falling or bouncing high. 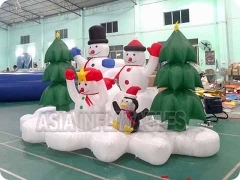 Inflatable Party Bouncer. 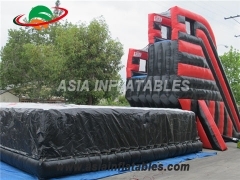 All Kinds of Inflatable Bouncers. 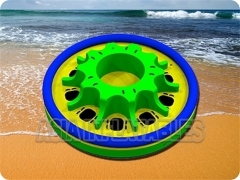 We may customize the design, the size, the colors and the logos as you need. 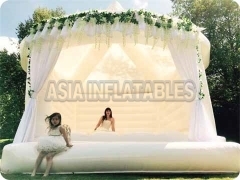 High Quality, Lower Price, Fast Delivery, 3 year warranty! Getting ready for the spookiest night of the year? 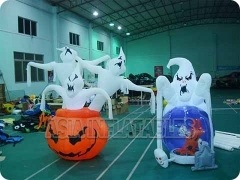 If youre hunting for scary fun Halloween decorations, then this 11.7 ft inflatable Carriage is for you!Towering at an impressive height of 11.7 ft and equipped with Super Bright Bulbs that will light up your whole neighborhood, your inflatable decoration is sure to be the star of the night! 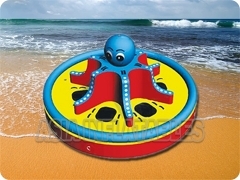 Thanks to the extra powerful built-in fan, you can blow it up in seconds and enjoy the frightfully fun night. 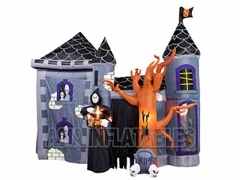 Display it in your garden lawn, or patio this Halloween inflatable will stay in place because it comes with anchor ropes for secure fastening.Its rich colors and plush design are sure to invite ghosts and Trick-or-Treaters alike! 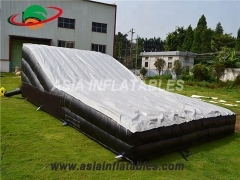 Because its easy to deflate and pack away, you can keep it as one of your favorite Halloween inflatables for years. 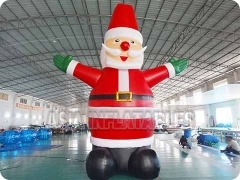 The Airblown Waving Santa Inflatable can bring the fun of the holidays to your home this season. It comes with everything needed for setup, so you can start enjoying it right away. 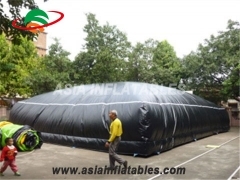 The airblown inflatable measures 4', making it simple to see without overtaking your yard. 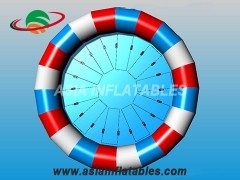 It deflates easily for storage in your home, garage or work space between seasons. 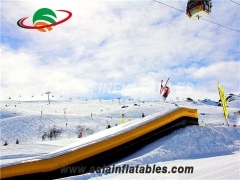 The Christmas inflatable is made with a blend of fabric, metal and plastic to offer you durability that you can rely on. It is simple to use: just stake it down, plug it in and watch the magic unfold. 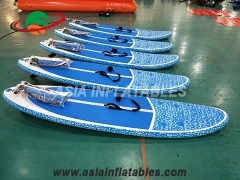 Its lightweight design makes it simple to move around as desired. 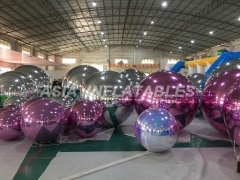 Inflatable Mirror Ball Decoration is one of our factory developed new inflatable projects in this year. 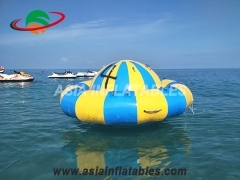 The ball has prefect decorative effect, so it is widely used in Hotel, KTV, T station, bars, parties, concerts, auto show, new product launches, sports games, new store openings, festivals and other entertainment venues.